Hi there, my darlings! I know, I know, it's a Saturday and you all usually don't hear a peep out of me all weekend, mainly because I'm sleeping, but a launch is coming and we can't miss that! 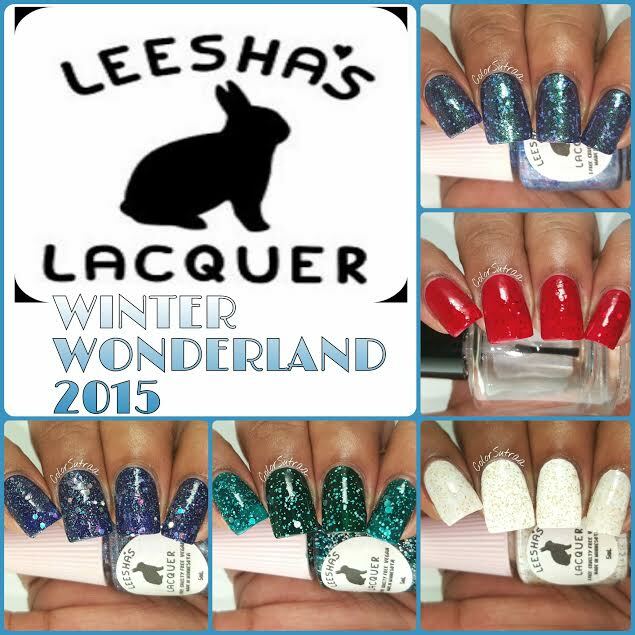 So, on a rare Saturday, I'd like to share with you all Leesha's Lacquer's Winter Wonderland collection for 2015. 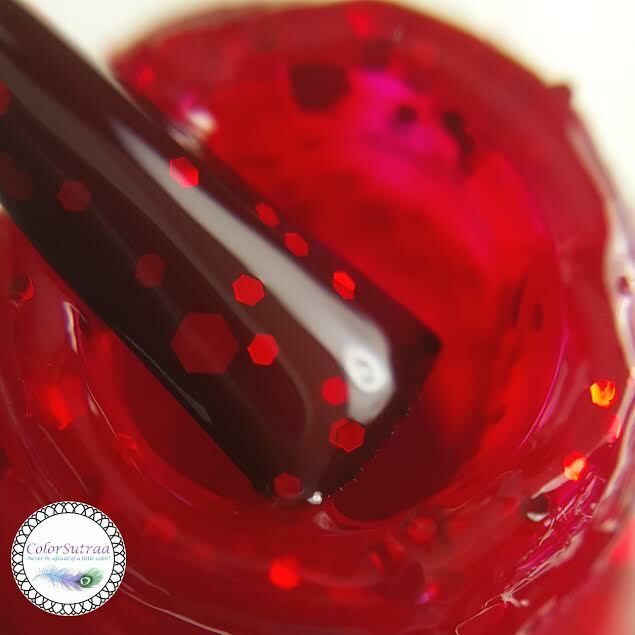 This collection consists of 5 polishes--2 jellies, 1 crelly and 2 amazing toppers. Wait til you get a look at these! 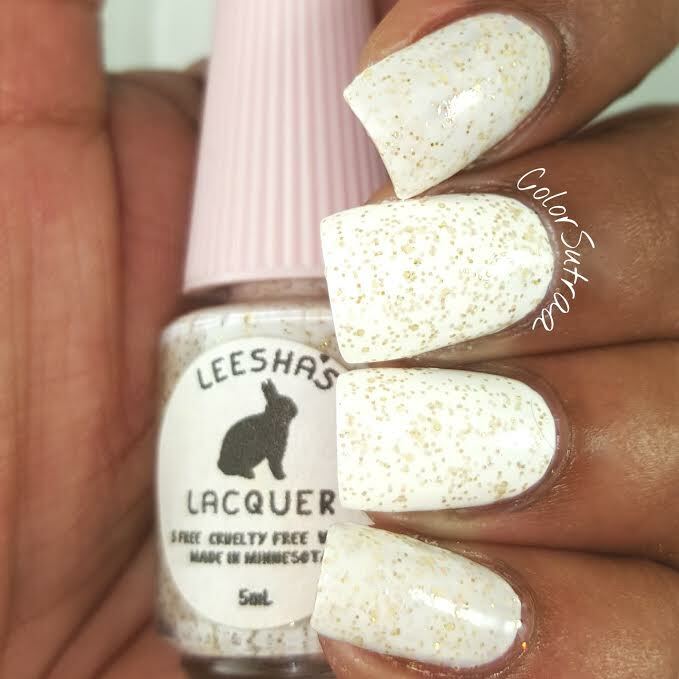 Snow Wonder is an ivory/off-white crelly filled with tiny gold microglitters. 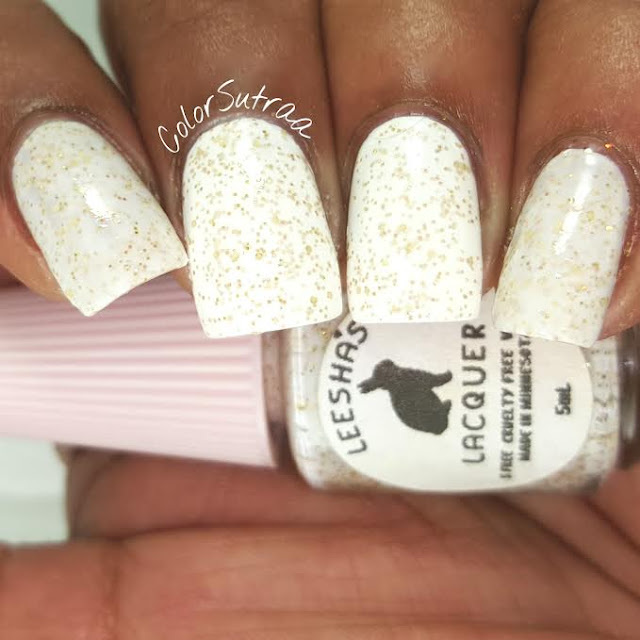 Lovely formula and application, I had very little trouble with streaking or patchiness with this polish. 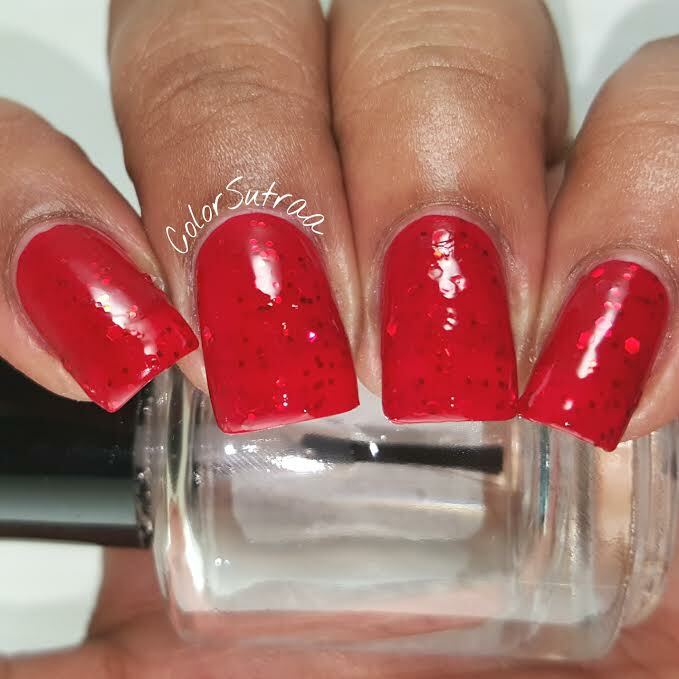 The swatches below show 3 coats by itself on the first and pinkie fingers and just 2 super thin coats over 2 thin coats of Sally Hansen's OMGhost on the middle and ring fingers, all topped with Glisten & Glow's HK Girl topcoat. Such a pretty, delicate crelly! 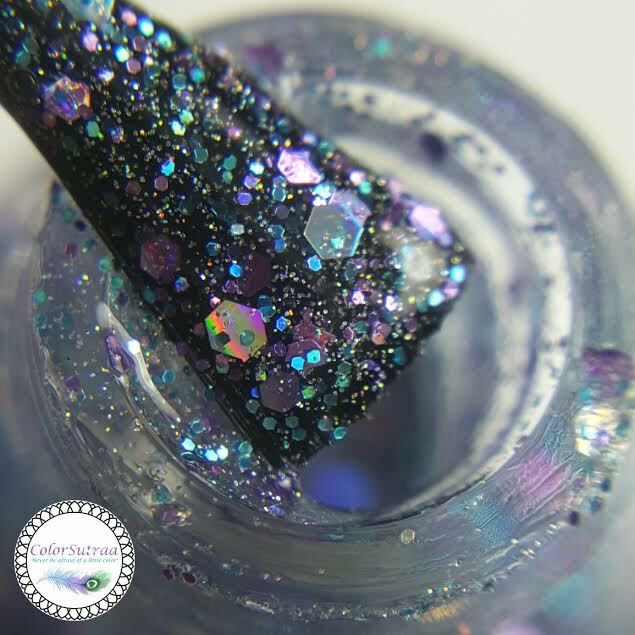 Freezing is a clear glitter topper filled with holo microglitter, shimmer and teeny holo hexes. Fantastic formula and application, this one went on smooth as butter. 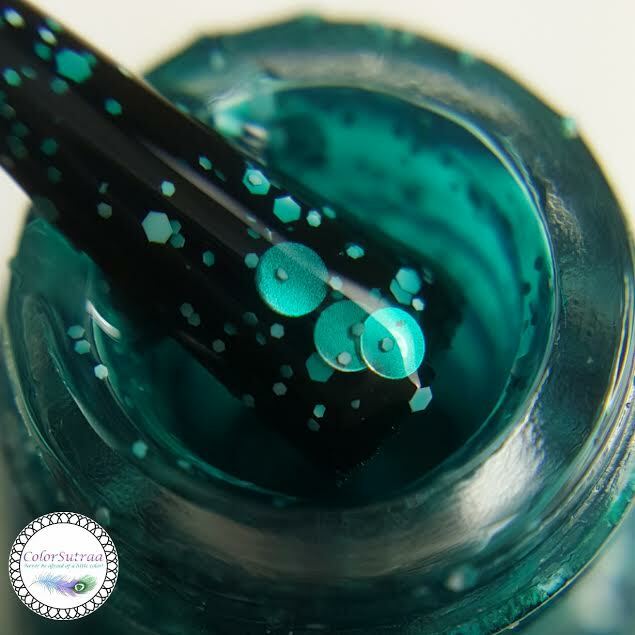 The swatches below show 2 thin coats over 1 easy coat of Painted Polish's Deux, topped with 1 generous coat of Glisten & Glow's HK Girl topcoat to finish the look. 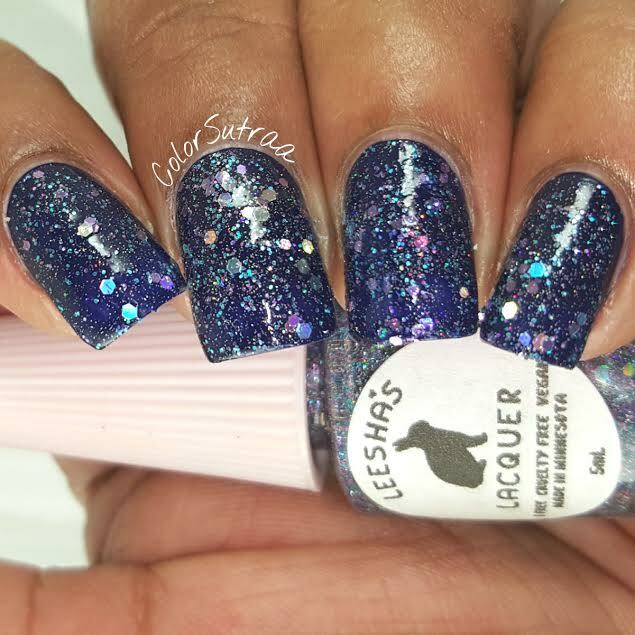 So sparkly, so wintery! 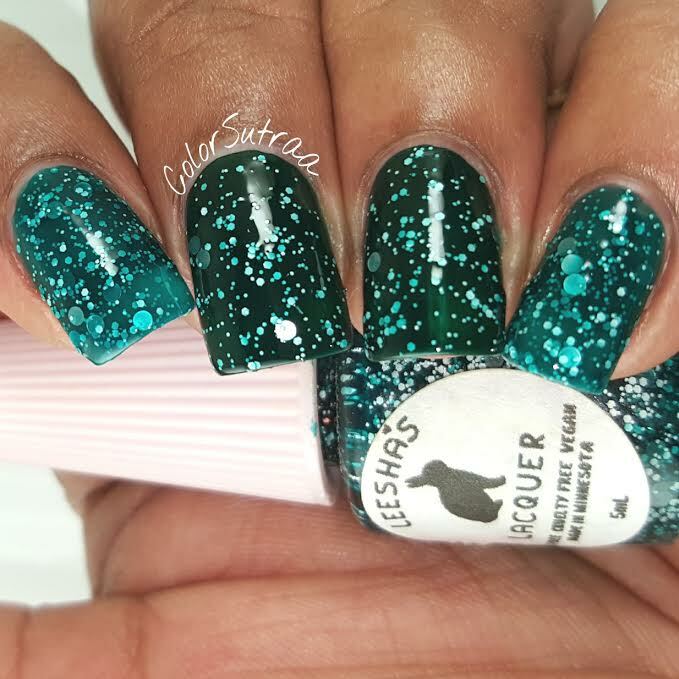 Hibernate is an is a rich, bottle green jelly filled with small and tiny white glitters and small holo circles. No issues to report with formula, application, or, good news, staining! The swatches below show 3 coats by itself on the first and pinkie fingers and just 2 super thin coats over 1 coat of Painted Polish's Woodland Whimsy on the middle and ring fingers, all topped with Glisten & Glow's HK Girl topcoat. Such a squishy, perfect jelly! 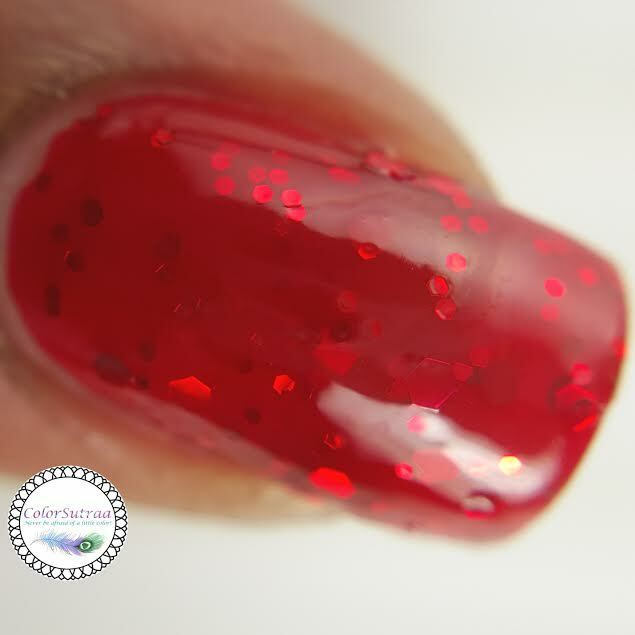 Mitten Mania is an is a bright, true red jelly filled with small red glitters. This poor baby had a tragic accident in shipping but I managed to salvage enough for a swatch and formula was pretty darn good even from a mini bottle with a broken cap! 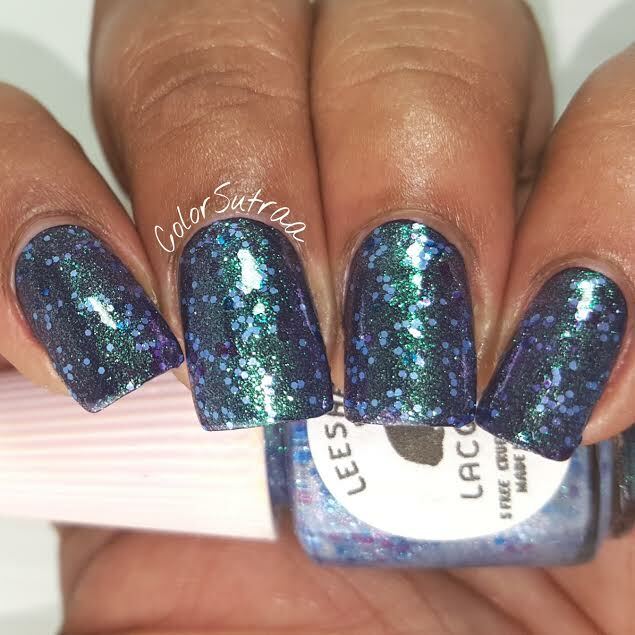 The swatches below show 3 coats by itself on the first and pinkie fingers and just 2 super thin coats over 1 coat of Zoya Hannah on the middle and ring fingers, all topped with Glisten & Glow's HK Girl topcoat. 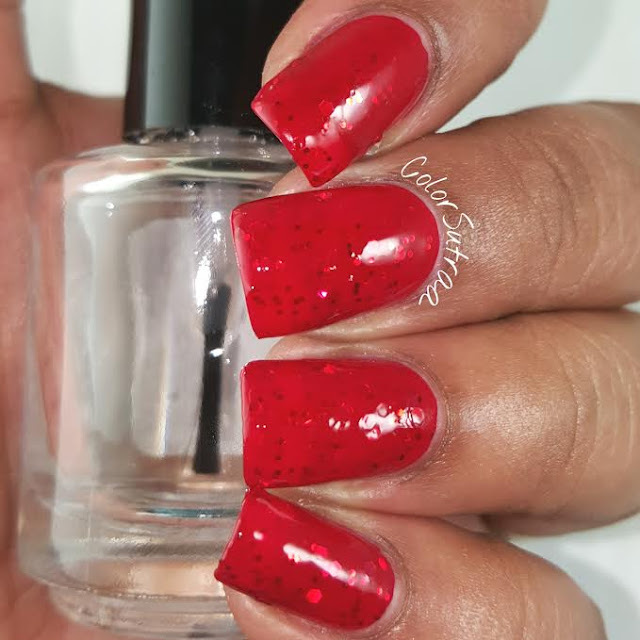 I love how flattering this shade of red is and it's an almost perfect match for the Zoya! 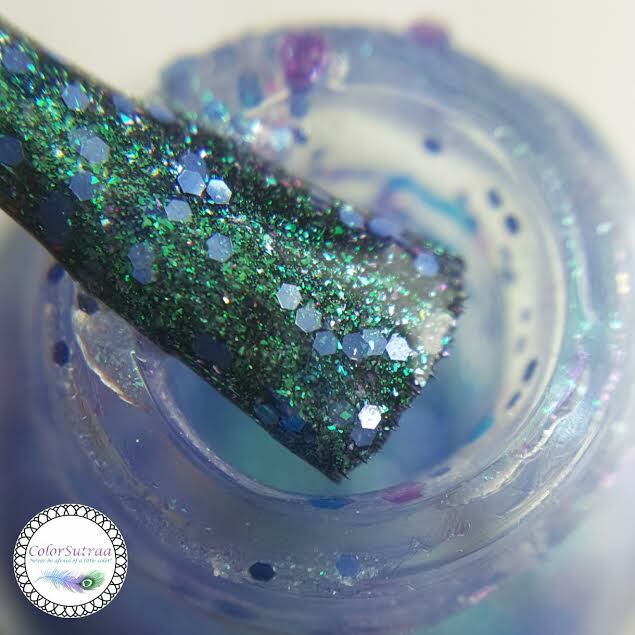 Snow Bunny is a clear glitter topper filled with this unreal duochrome shimmer that shifts between glowing green and a gorgeous vibrant purple, plus tiny purple and blue matte glitters. No complaints with formula or application, another one that applied absolutely beautifully. 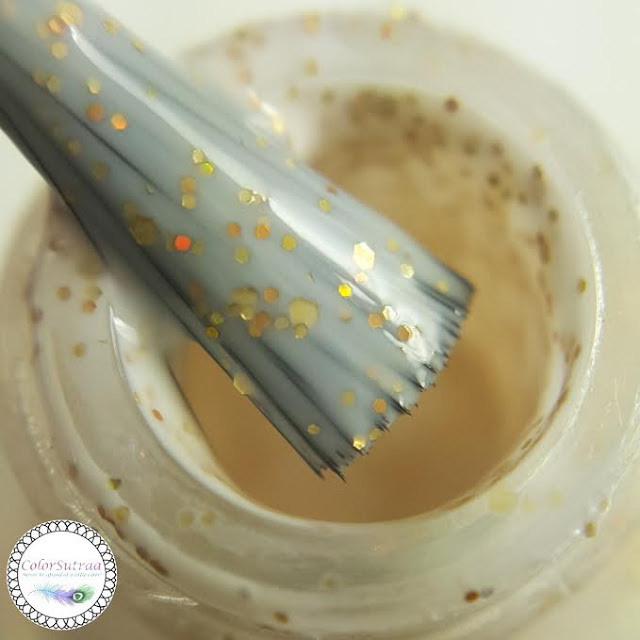 The swatches below show 2 thin coats over 1 easy coat of Painted Polish's Autumn Twilight, topped with 1 generous coat of Glisten & Glow's HK Girl topcoat to finish the look. How amazing is this?! 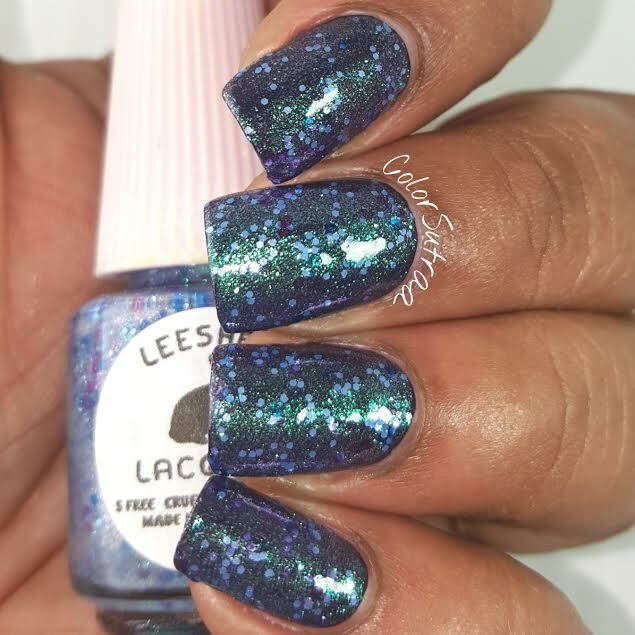 Definitely magical and filled with unicorn dust! So there you have it, my darlings! 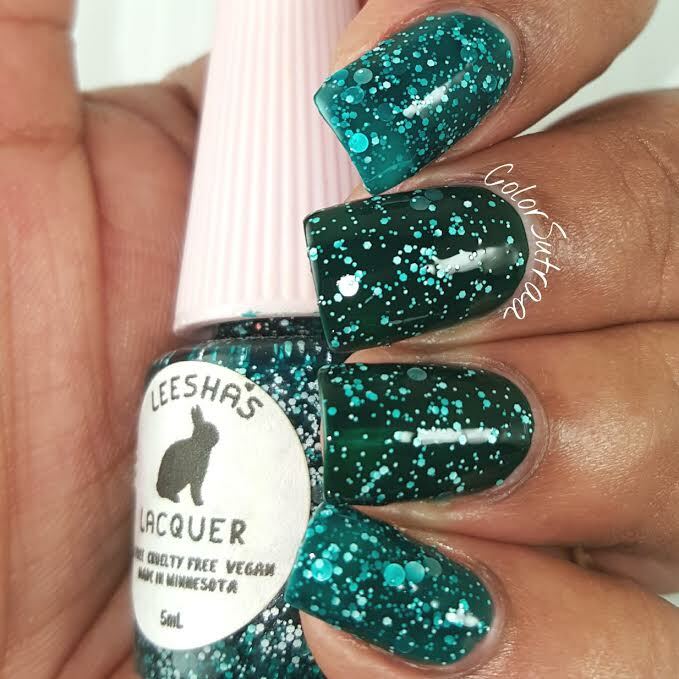 The Winter Wonderland collection for 2015 will be launching on Leesha's Lacquers' Etsy shop HERE--prices vary from $3.50 for a mini, 5 mL bottle to $7.00 for a full-size, 12 mL bottle. 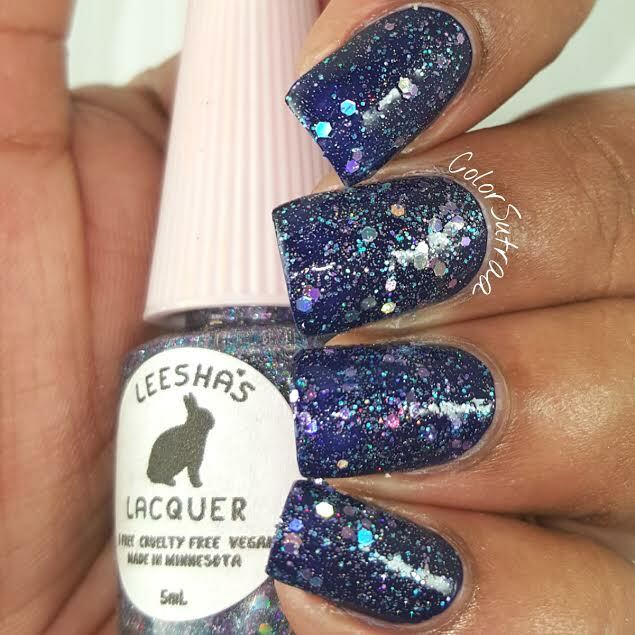 Don't forget to follow Leesha's Lacquer on FACEBOOK and INSTAGRAM for all the latest updates and exact restock times in your timezone! Which of these are YOUR favorite? I'd love to hear from you in the comments section below! They're all beautiful but Hobernate is breathtaking! Thank you for all these wonderful swatches. I'm head over heels for Freezing!